We began our third day in Santa Barbara County driving into the hills of Santa Maria Valley to explore the wines of Cambria Estate Winery. 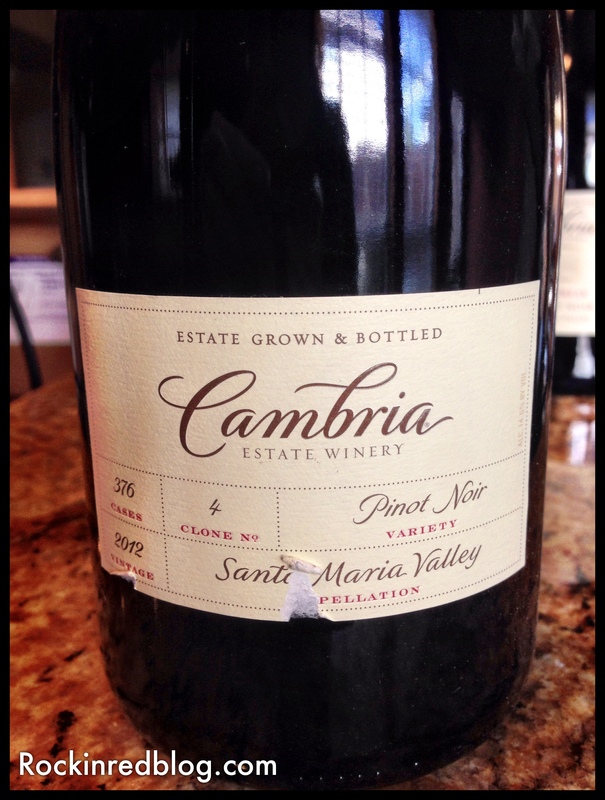 Cambria crafts a wide portfolio of Chardonnays and Pinot Noirs focused on clones, as well as other wines such as Syrah. 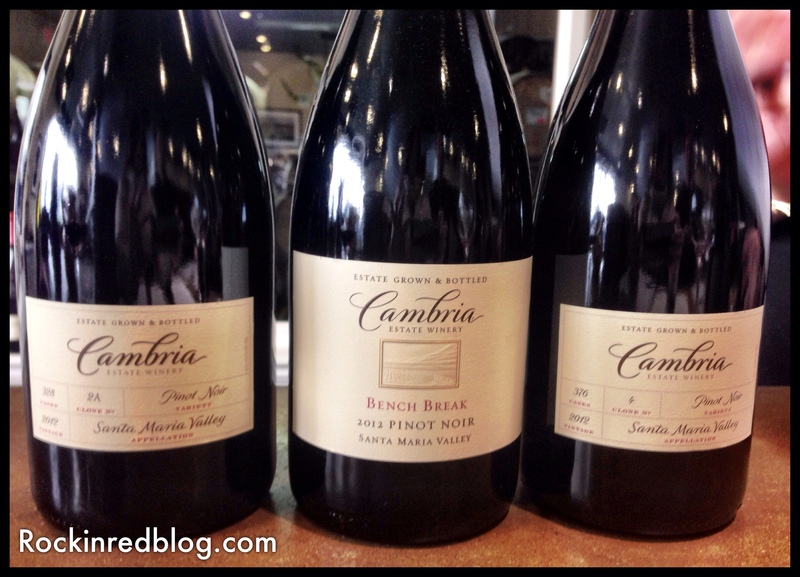 After attending the fantastic Davis Bynum master cloning class, in case you missed it read “It’s All In the Clone,” I wanted to explore the beautiful Pinot Noirs crafted by winemaker Denise Shurtleff at Cambria. Things in the clone world began to heat up with our visit to Clos Pepe Estates, read “A Visit with Renaissance Wine Maker Wes Hagen,” when Wes explained his belief that technically there is no such thing as a clone because once the clone is grafted on the grapevine it takes on a DNA of its own. Furthermore, Wes feels American winemakers use the clonal labeling to justify the fact that we are really just “arrogant thieves.” I find the entire issue of cloning quite fascinating. If I understand Wes’s perspective (which I am not sure I do) perhaps it like having a child; each parent puts forth their DNA to create a human; however, the child is not a clone of either parent, rather an amalgamation of each parents genetics, creating a new set of DNA that overlaps with each parent but it not an exact match. Paternity tests can determine who the parents are of any given human because the DNAs have significant similarities; I imagine the same is true for grapes, perhaps not an exact duplication but a significant match of origin. 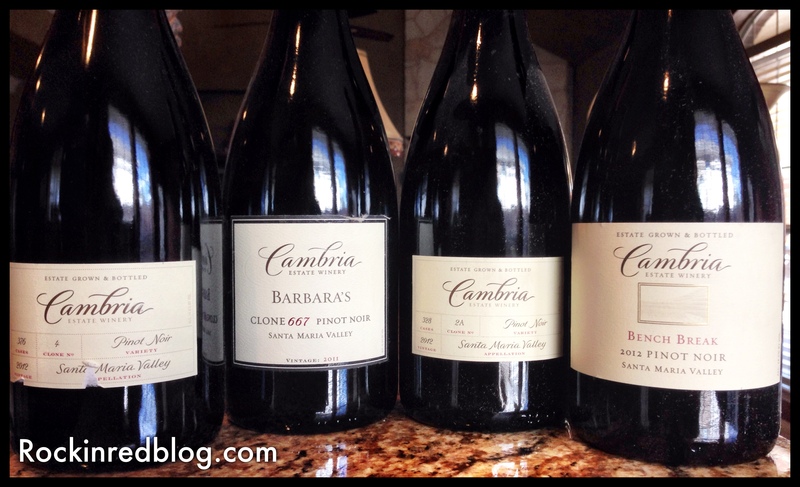 Where else to explore this theory than at Cambria Estate Winery, a winery focused on clonal wines. We chose to taste the Pinot Noirs only and were thrilled with the wines we sampled. Cambria is producing some high quality juice! Clone 115 2012 Santa Maria Valley Pinot Noir: This wine poured a light garnet into the glass and offered red cherries, blueberries, strawberries, cola, vanilla and a hint of licorice that lingered on the palate; rich and round with balanced acidity and integrated tannins. SRP $52. Clone 4 2012 Santa Maria Valley Pinot Noir: This wine poured a ripe scarlet into the glass and offered ripe cherries, cranberries and pomegranates, with cola, baking spice and a hint of barnyard; well-balanced fruit and earthiness wrapped in round acidity and integrated tannins. 91 pts Wine Advocate. SRP $52. Clone 23 2012 Santa Maria Valley Pinot Noir: This wine poured a deep garnet with violet highlights into the glass and offered blueberries, blackberries, red cherries, Asian spices, vanilla and a touch of leather; bigger and bolder Pinot Noir yet elegantly restrained; certainly a Cab lovers Pinot; well-rounded acidity and tannins that linger on the palate. 93 pts Wine Advocate. SRP $52. Clone 2A 2011 Santa Maria Valley Pinot Noir: This wine poured a medium ruby into the glass and offered red berries, herbs, licorice and pepper; well-balanced, round in the mouth with a dry, lingering finish. SRP $52. 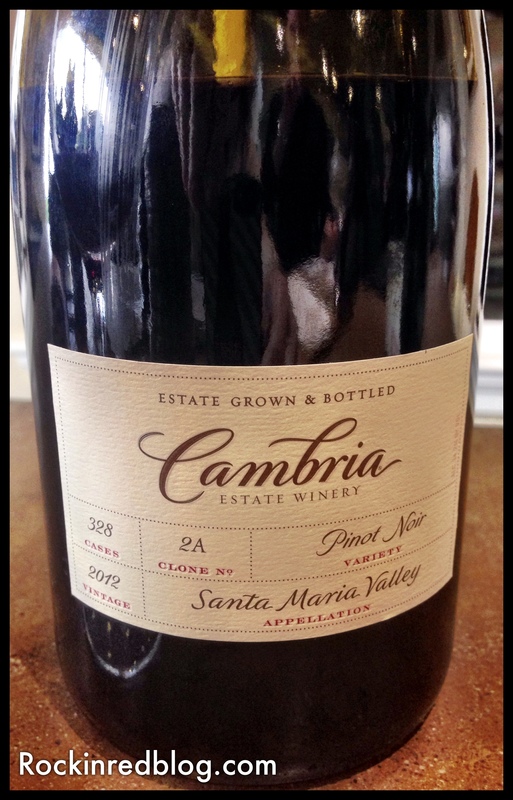 Clone 2A 2012 Santa Maria Valley Pinot Noir: This wine poured a deep ruby into the glass and offered red cherries, strawberries and black raspberries with a touch of spice, smoke and green pepper; it also was well-balanced with a dry, lingering finish. SRP $52. 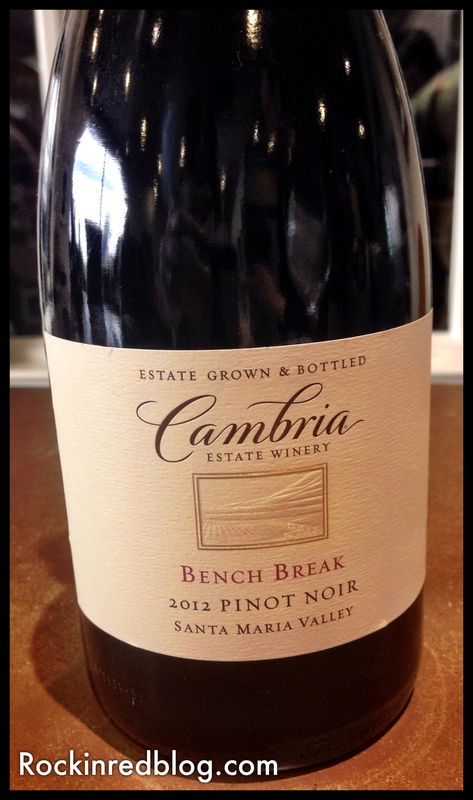 2012 Bench Break Pinot Noir: This wine was crafted from clones 667, 115, 2A, 4 and 23; it poured a ruby red into the glass and offered ripe blackberries, cherries, strawberries and blueberries, with Asian spices, cola, hints of vanilla, minerality and touch of dry dirt; it offered a nice fullness with integrated tannins and round acidity; a soft, elegant and smooth blend; 14.2% alcohol; 10 months in 100% French Oak. SRP $34. Estate defines the culture of Cambria. For more than 25 years, we have produced wines that faithfully express the singular stamp of one of the finest cool-climate crus in California. In this exceptional setting known as benchland, referring to the way the foothills rise up from the valley floor, the ancient, complex soil hosts the vineyards of our estate winery. Family-owned, sustainably-farmed, and passionately tended by a team proud to be stewards of this remarkable property, each wine we produce is 100% estate, fully revealing the essence of the Santa Maria Bench. Cambria’s web site is very interactive. I encourage you to visit their web site to learn more about the family, history, vineyards, and clones; furthermore, I encourage you to view their entire portfolio of wines and order some for yourself. So in the end whether the clone is actually a clone or whether it does alter upon grafting to take on its own DNA, the labeling process does assist in providing some clarification of the grapes used to craft the wine. Additionally, I do like learning the names of the clones because I have found I am beginning to recognize certain clonal characteristics in Pinots. However, my general like or dislike of a wine is not swayed by the clones used to craft it. What are your thoughts on cloning? 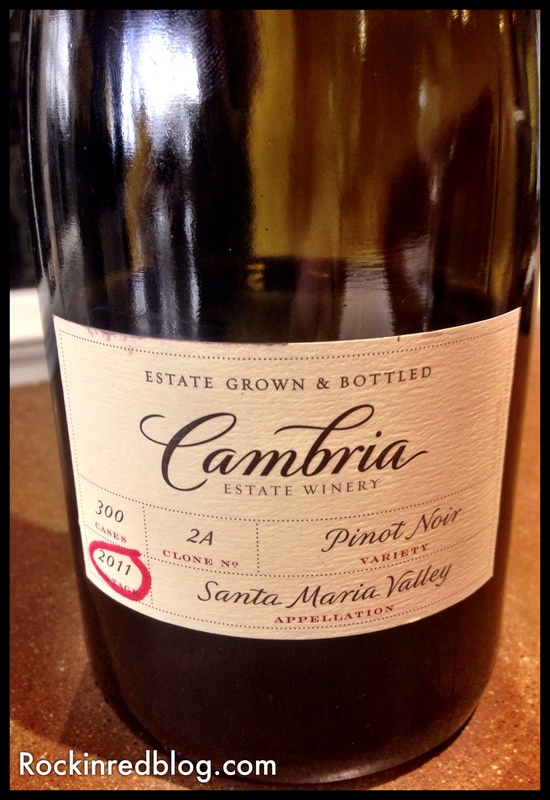 My Song Selection: The song I have chosen to pair with Cambria Estate Winery Pinot Noirs is Ever the Same by Rob Thomas. I chose this song because of its soft delivery and gentle melody; much like the Cambria Pinots, well-crafted, soft, gentle, elegant, yet full of flavor. The wines are easy drinking and this song is easy listening. Additionally, Rob Thomas became famous as the lead singer of the band Matchbox Twenty; however, this song is a product of his solo efforts, which begs the question is this song a clone of Matchbox Twenty or does it have its own DNA? 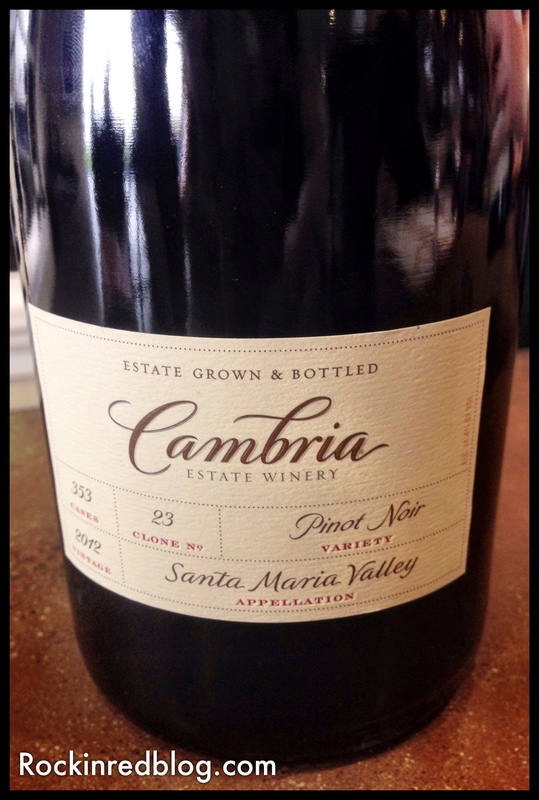 Get your own bottles of Cambria Estate Winery Pinot Noir and let me know what song you would pair with it. Cheers! Looks like a great line-up and a fabulous tasting! Very interesting about “clones.” I had never heard of them. Learning, learning! Learning you are; and doing great!